I can’t find the black mustard seeds, nor the fresh horseradish. So this is my moutarde au raifort (horseradish mustard). Yum…. ouuuuchhhh. Refreshing ! The horseradish condiment is something people, well civilized ones, always keep in the fridge in Lorraine. It’s nice to propose this condiment with pot-au-feu or cold meat or smoked fish, or whatever. But they usually buy it. I can’t get it in Osaka. Or that would cost the moon. We have karai daikon. Mini daikon with super strength. I. In French this root is sometimes called raifort. And horseradish is called raifort. And no, that’s not the same but close enough. II. 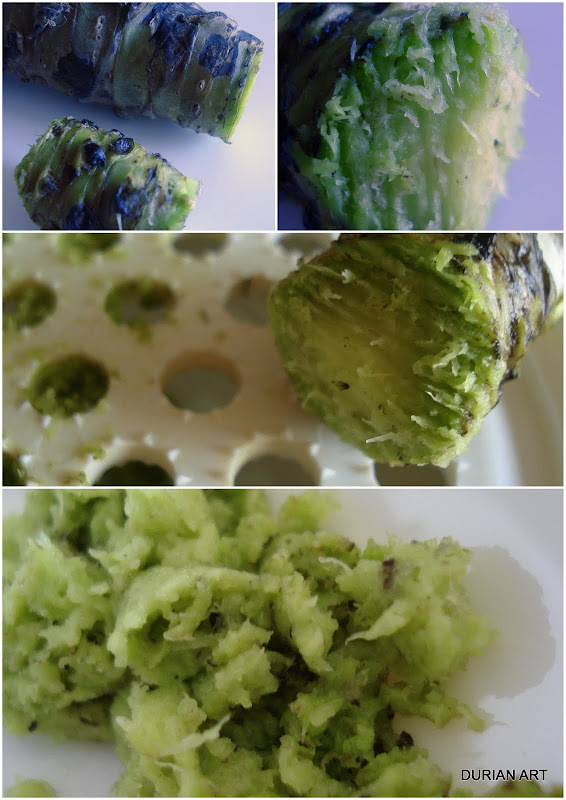 In Japanese, horseradish is called wasabi, but real wasabi is not horseradish and maybe your wasabi is not real wasabi. The composition of this powder is “horseradish, food coloring, vitamin C”. In powder that’s always horseradish. 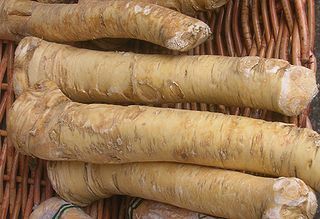 In tube, in Japan, it’s often real wasabi, but in other countries it’s horseradish most of the time. Check the labels. Conclusion : I have powdered horseradish. Yeah ! So this is my “raifort”, made with a little real horseradish powder, my “mustard” and grated strong daikon. Posted on June 16, 2012 by My	• This entry was posted in (quick) 5 minutes active cooking, Cuisine from dry / a partir de sec, economic and frugal, Home-made Fait-Maison, Ingredients, Japan/ cuisine japonaise, Uncategorized, vegan, vegetarian and tagged condiment, condiment de raifort, daikon, DIY, fresh wasabi, hon wasabi, horseradish, karai daikon, moutarde, mustard, mustard seeds, radis noir, radish, raifort, root, seiyou wasabi, seyo wasabi, wasabi, Western wasabi. Bookmark the permalink.